Let me tell you about Sunday – as if you can't remember. It was wet, really wet. It was windy, and I mean really windy. And it was cold – really cold for the time of year. It was expected, true. But I didn't imagine it was going to be as horrendous as it turned out to be. The forecast predicted the bad weather would pass by lunchtime, but it hung around for most of the day – until about 4pm, anyway. 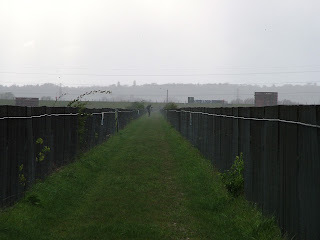 The idea was to take part in the Holmethorpe Bird Race, a dawn-till-dusk challenge to see as many bird species as possible. But the weather put paid to that idea. 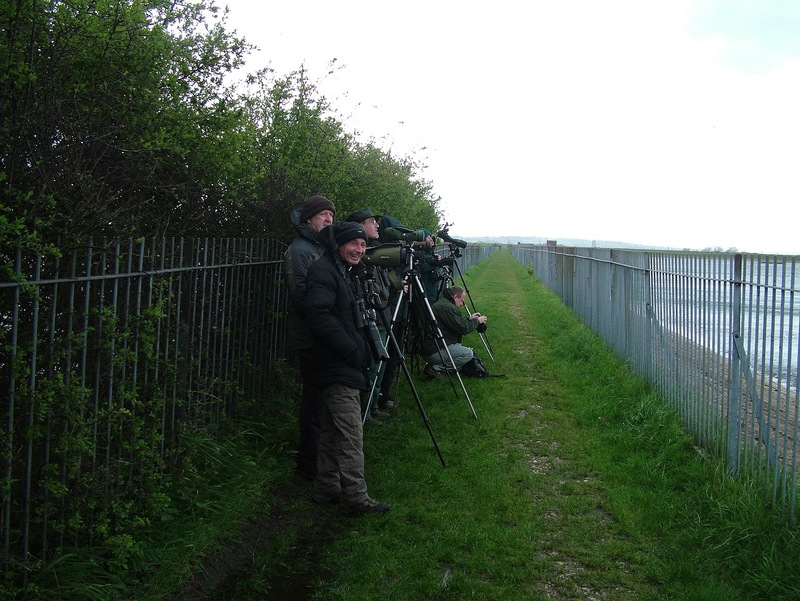 A number of honourable birders did venture out on the patch. In the end only one made it through the whole day – Gordon Hay. I'll be honest and say I couldn't imagine walking around the fields and lakes to see very little. But I wanted to see something. So I took the slightly mad step to go sea watching... but inland. 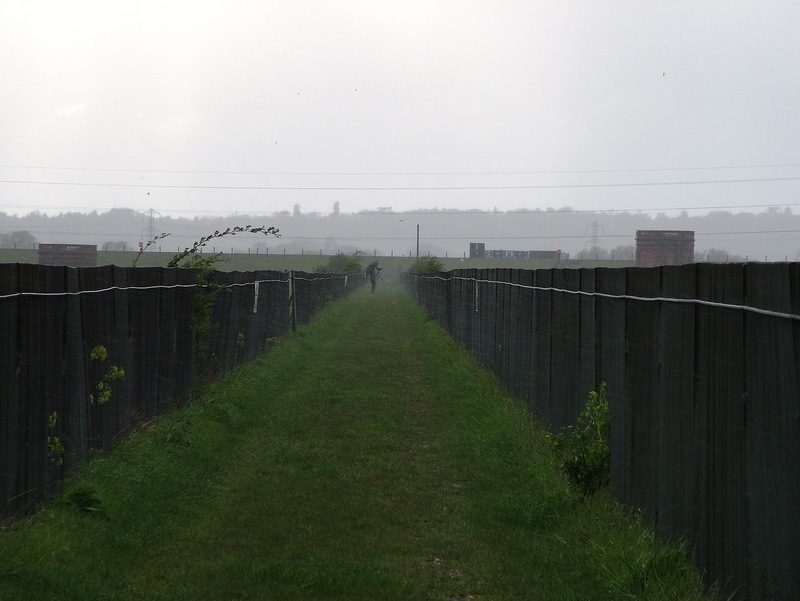 I thought the best place to see birds in the terrible weather was going to be Staines Reservoir. I was hoping for a Little Tern, as three had been seen the evening before. I sort of knew what I was letting myself in for. 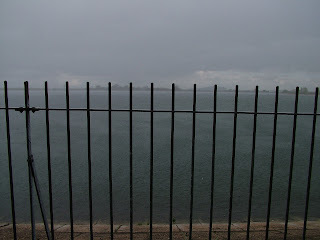 Even at the best of times the reservoir climate can be severe. It is nearly always windy up there. I arrived just after 7.30am, at the same time as one other birder, Dave Darrel-Lambert. The walk up the causeway was like walking into Dante's Inferno. The water on the reservoir was like the English Channel on a stormy day. Massive waves, and a wind that did its best to lift you off you feet. The rain just blasted you like a high-pressure hose, so it wasn't long before I was soaked. To actually watch the birds was equally difficult. The scope wanted to fly off, and viewing through it was nigh impossible as it kept shaking violently in the wind. Holding a pair of bins was a challenge just to keep them steady. Despite the problems I did get to see a few good birds in the morning. The resident Shag flew low across the south basin, plus there were many Common Terns and a few Little Gulls feeding, flying headlong into the wind. 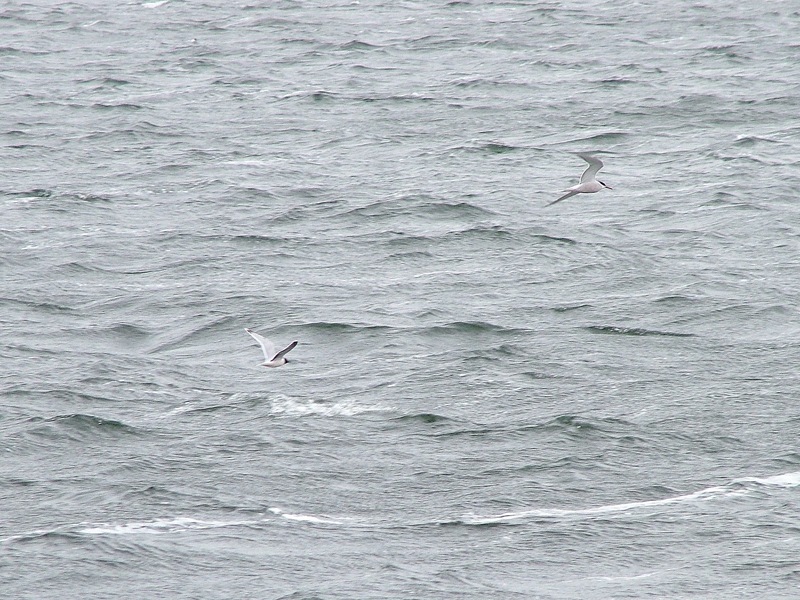 Dave put me on to a Black Tern (133), doing its best in the gales on the north basin, plus one Arctic Tern. 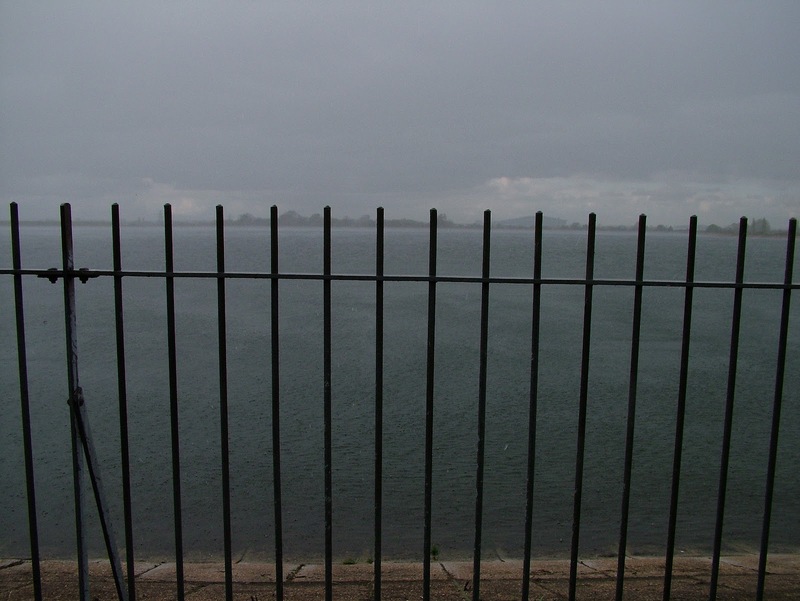 By that time I was battered and bruised by the gale force north-easterly winds and stare-rod rain. It was weather for the hardy, dedicated birder with SAS survival training. But even some of those were beginning to lose the will to live. 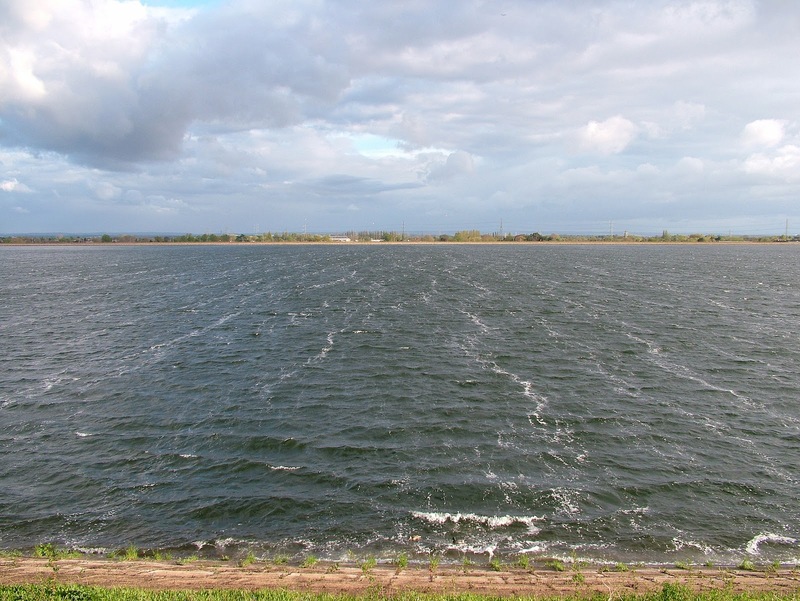 Bob Warden, the 68-year-old legendary Staines Reservoir watcher, arrived after me – having been on Staines Moor looking for a Great White Egret that appeared to drop down there the evening before (he didn't find it) – and we scanned the basins for some more unusual sightings. We found an Oystercatcher (134) on the west bank of the north basin, and a young chap called Samuel joined us and pointed out a Yellow Wagtail grappling through the wind before dropping down on to the bank next to the causeway on the south basin, where it joined a White Wagtail. A Little Ringed Plover soon followed and then later, although I didn't see it, a Dunlin. Numbers of Common Swift, Swallow and House Martin were beginning to build as the morning progressed. After a few hours enjoying watching the determined Little Gulls and Terns repeatedly flying into the gales to feed before swooping back and starting the whole process again, I was struggling to keep warm. Even Bob, who puts up with most weather the reservoir chucks at him, was beginning to get fed up. By 2pm, we both thought we'd seen enough and decided to leave. As I walked back to the car, the clouds broke and, unbelievably, the sun came out. I was speechless – mainly because my face was still too frozen to speak. I headed to Bookham Common in search of Nightingale (135). It was a good choice as it turned out, as I found one within minutes of arriving, singing loudly and with intense clarity in the bushes. I managed to see it briefly before it saw me and flew further away. I was about to go looking for it again when I saw on Twitter that Adrian Luscombe, local Staines birder, who had avoided the wind and rain earlier, had just arrived at Staines Reservoir and was watching a Little Tern, plus eight Whimbrel and a Bar-tailed Godwit circling the area. Just typical! I'd spent more than six hours there braving the elements, and within an hour of leaving the target bird, plus two added bonuses, put in an appearance. I drove back, knowing full well I would draw a blank – and predictably I did. 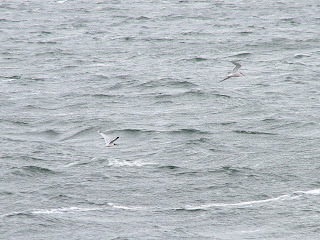 The Little Tern had gone missing, and the Whimbrel and Bar-tailed Godwit, that had been flying around for about 20 minutes, had also flown off. There were plenty more birders around now the weather had improved. I met up with Adrian, and later Franko Maroevic and Ken Purdey plus others whose names I didn't know. Franko is one of Britain's most well-known birders. He's a character, that's for sure, extremely enthusiastic and always – to me at any rate – very helpful. 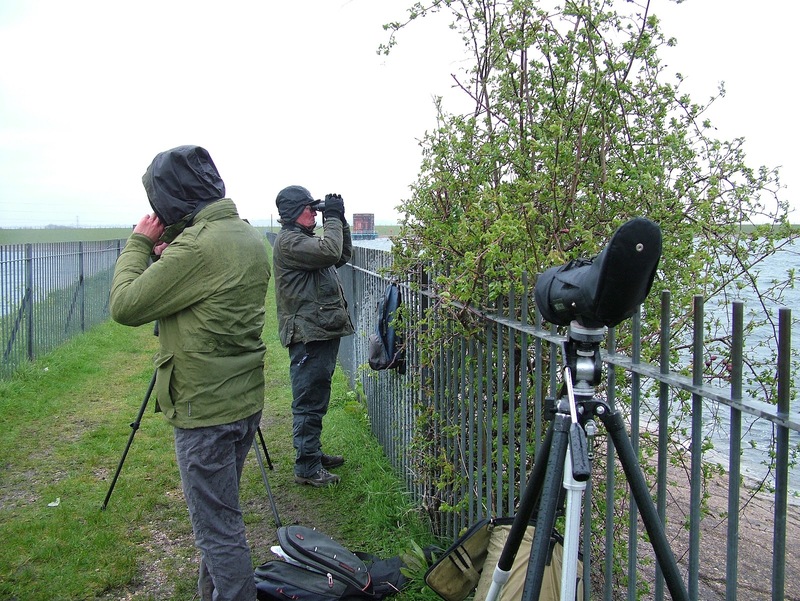 It is watching birds with the likes of Bob, Franko and Ken that novices such as myself learn how to become better birders. For one thing, they don't tend to list, and for another, they are patient (although that doesn't always reflect Franko's reputation at times so I'm led to believe! Hence, Johnny Allan's nickname for him, 'The Fury'). I always enjoy hanging out with these guys. They just spot things that you can't and they can identify birds such as Arctic Terns straight away, which is always a great help. 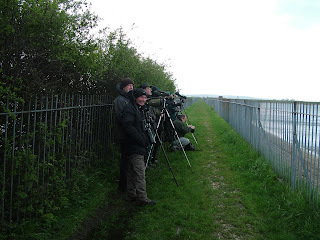 With the wind still blowing and the threat of rain still lurking, most birders headed for the one strip of vegetation which acted as cover halfway up the causeway. This is where I spent the next hour and where the highlight of the day occurred. While watching the north basin, Franko anticipated seeing a Short-eared Owl that had last been seen heading east into the wind from the Queen Mother Reservoir half an hour earlier. And it wasn't long until he was on to it. It was distant, but the Short-eared Owl was doing its best to fly through the gale, passing low across the motorway near Heathrow fifth terminal. And then commotion. By now the number of hirundines on the reservoir had reached more than 2,000. They were darting about everywhere. The majority, more than a 1,000, were Common Swifts. The remainder were made up of Swallows and House Martins. A few moments later, the number of hirundines had dropped by one. The wind speed had stepped up a couple more notches, if that were possible, and the wind direction had changed to a very stiff southerly. Fingers pointed out in front of us, and then Franko shouted out that there was a Hobby (136) heading straight for us, low across the water. By the time I picked it up it was getting close and at a fantastic speed – especially considering it was flying into the wind. 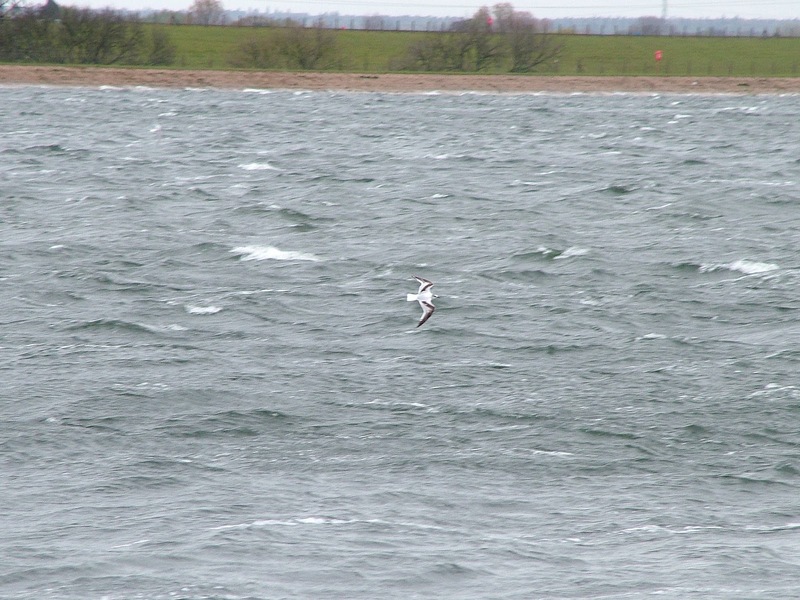 Only a few feet above the waves, the Hobby cut through the wind like an arrow. In a flash, it was over our heads and into the south basin. Franko took up the commentary "It's caught a Swift! It's in the water! There it is, above us now! Look!" Dramatic stuff. The Hobby clearly had Swift on the menu. The Swift it caught tried to take evasive action but the Hobby followed it literally into the water before, saturated, it rose up, hovering in the wind as it gathered up its prey and turned to head back out across the north basin. Then it was gone. Moments like that are hard to beat – nature at work in an extreme environment. And then the heavens opened with gusto. This weather was ridiculous. All day I had been battling against it, but it still had more to throw at us. Amazingly, despite the onslaught, one birder resolutely continued to scan the reservoir and he was out in the elements while he did so. Ken Purdey, another Staines legend, was further down the causeway, fully togged up in wet-weather gear plus a huge umbrella, was calmly scanning the north basin. An island of calm surrounded by a tumult of weather. Ken is calmness personified and a great birder. Nothing fazes him. Respect. I spoke to Ken for a while, and he reassured me that missing a Little Tern was par for the course. He'd missed plenty during the past couple of years before seeing the three the day before. I thought I'd found it late on, but it was a young Common Tern – apparently it is easy to misidentify a Little Tern for one. Sod's Law. Eventually the storms cleared and by 7pm I thought it was time to go. I'd been at the reservoir for nearly 12 hours on and off. 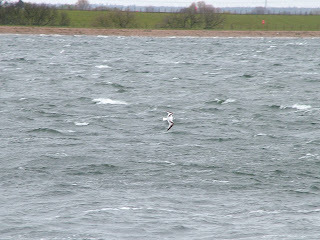 On the walk back to the car I saw another birder, who told me of a Turnstone on the bank of the causeway. Taking my eye off the ball, I'd walked straight past it. I went back, and there it was. 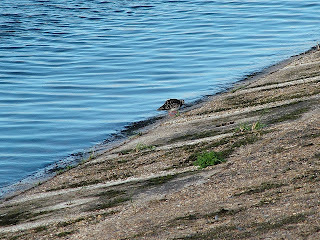 The Turnstone (137) was feeding on the edge of the water on the north basin. Finally, on the south basin, I saw a further four Little Ringed Plover on the west bank. I ventured over to Holmethorpe late on just in case I saw a Whimbrel on the Spynes sandpit, but all was quiet. By the time I got home I was utterly exhausted. So ended a long, epic and remarkable day. 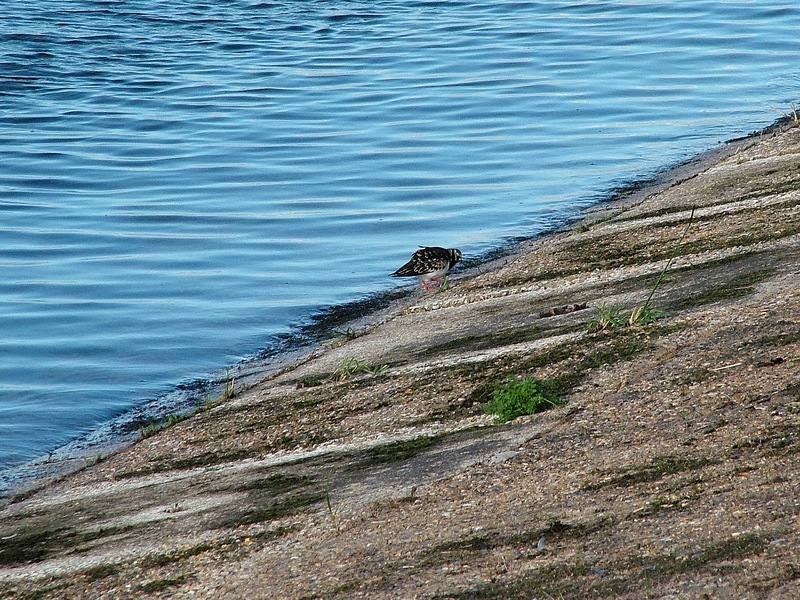 excellent post that sums up a day in the life of a birder at Staines Res. perfectly.